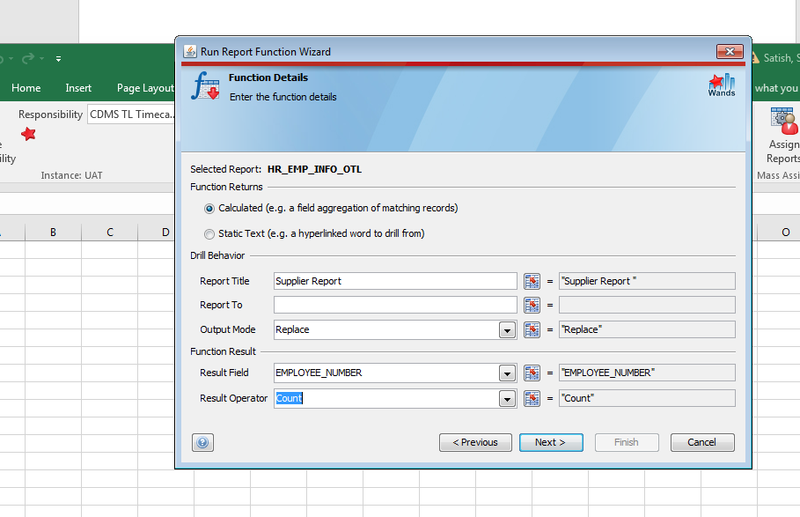 Insert Run functionality is used to return sum, count, max etc for the datapoint(columns) in E4A Report. The value will be returned in the cell once the calculation is performed. 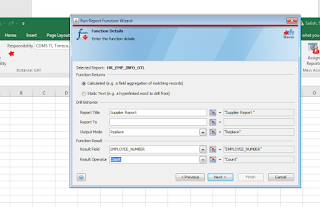 If the report is defined to run for the specific parameters, then the Insert Run report calculation can also be made to run for that parameter. List of Reports will be displayed. Select the Report where we need to create Insert Run functionality. Now click Next and then add the Filters required for the Count Operation to be manipulated. Users can enter upto 10 filters. 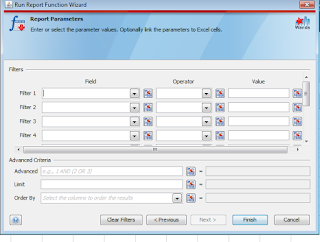 The filters will also be applied as in the report or also for the parameters not defined in the report. Add the filters and then Click Finish. The formula will be calculated and displayed in the cell.